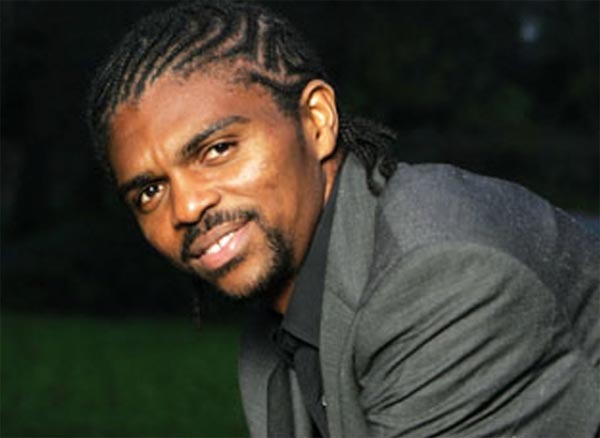 Nwankwo Kanu was born in Owerri in southeastern Nigeria in 1976. By the age of 15 he was playing professional football (soccer). From 1994 to 2000, he played for the national team and served as its Captain. Kanu became legendary for his soccer skills. He won an Olympic gold medal in Atlanta in 1996, has played in World Cups, received two African Player of the Year awards, a Union of European Football Associations (UEFA) Champions League medal, carried the Olympic torch at the games in London in 2012, and serves as a UNICEF (United Nations Children’s Fund) ambassador. Mr. Kanu accomplished most of these impressive feats after he was diagnosed with an aortic valve defect upon returning from the 1996 Olympics. He underwent his first heart surgery in late 1996 at Cleveland Hospital in the USA, but was back on the field playing soccer by April 1997. In 2000, he established the “Nwankwo Kanu Heart Foundation” (KHF), to help children in Nigeria and other African countries obtain the heart surgeries and cardiac treatment they need. KHF has supported over 415 heart surgeries with an impressive 98.5 percent success rate. Although very successful, the operations have also been very expensive, because many have been completed outside of Nigeria. If Nigeria had better cardiac facilities the operations could be performed in the country for perhaps one fifth of the cost. In 2013, Mr. Kanu began raising funds for a Cardiac Center to be built in Nigeria’s capital of Abuja. When completed, the facility will provide free heart surgeries to children through age 12 and highly subsidized surgeries for adults. Mr. Kanu’s goal is to build five KHF hospitals in Africa. In 2014, Mr. Kanu underwent a second corrective heart surgery. While in the hospital he was named one of the 100 most important Nigerians at the Centenary Award Ceremony hosted by his country’s President, Goodluck Jonathan. The same year, the charity known as the Borgen Project named Kanu the third most philanthropic soccer player in the world (after the UK’s David Beckham and Cote d’Ivoire’s Didier Drogba). Based on the literature on international development and personal success, why has Mr. Nwankwo Kanu (and his Heart Foundation) been so successful? Mr. Kanu has reported that his FAITH helped him to make it through his heart surgeries and to realize that there was more to life than football. Mr. Kanu recognized that OUT OF ADVERSITY COMES OPPORTUNITY and used his physical ailment as a starting point for creating a charitable foundation that has helped hundreds of people. In his actions on the soccer field and in philanthropy, Mr. Kanu has recognized the value of serving as a role MODEL FOR OTHERS to inspire them to do great things.